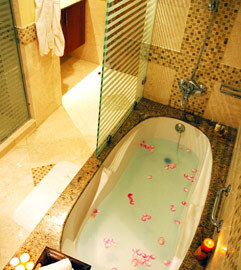 The Coral Boutique Villas are a secluded alternative for travelling families and business groups. 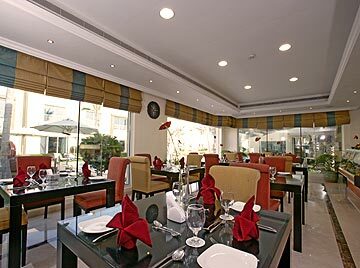 Location is good for leisure guests looking to be away from the city and closer to the beach, while business travellers find this popular as it is a close drive to Dubai Media City, Internet City and Jabel Ali Free Zone. 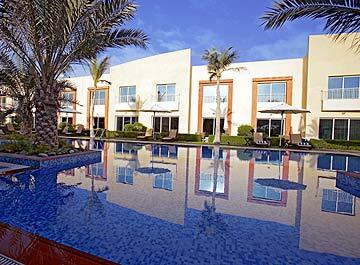 The complex offers guests outdoor bbq dining, an outdoor swimming pool, a gym and sauna. 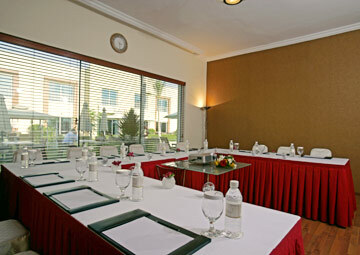 meeting and conference facilities can be arranged as can outdoor catering. 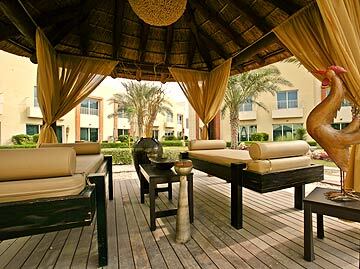 Each Villa has it's own private two-car parking. 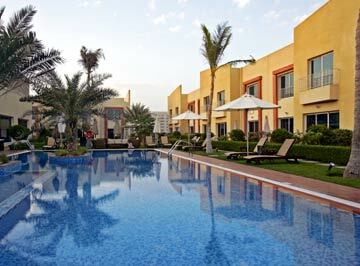 (SD 05/08) The Coral Boutique Villas are located in Al Barsha, Dubai's emerging leisure and business hub. 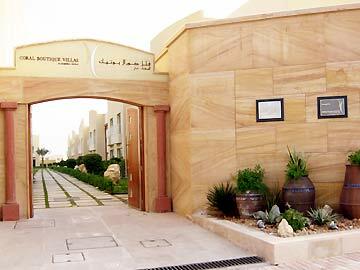 Roughly a 25 kms drive from the airport, the Villas are a short drive to the beach and closely situated to the popular Mall of the Emirates. 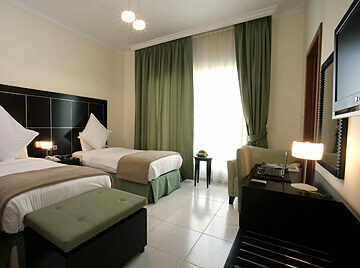 The deluxe rooms are located in the individual four-bedroom. 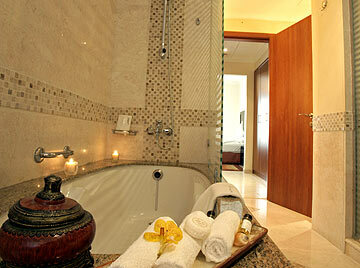 The downstairs is the living area for all rooms and the each room is located on the first floor. 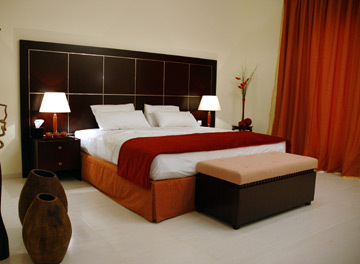 The villas are very spacious and fitted with leading edge facilities and furnishings. Each Villa has two plasma TV's, three flat screen TV's and one DVD player, as well as a fully fitted kitchen with refrigerator, microwave, stove, washing machine/dryer and dish washer. 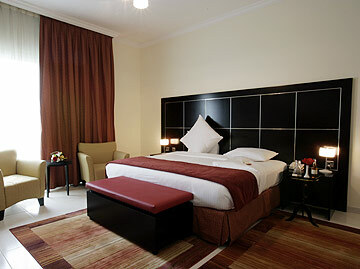 The rooms have fitted wardrobes and a safety deposit box is also available. WiFi internet is accessible throughout the property. 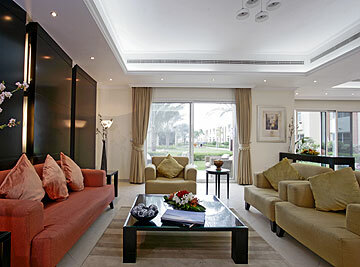 The Villas are modern and newly built within a compound. Rumours Cafe is open around the clock and 24 hour room service is also available. The Villa's reception can be found in the middle of the complex. Upon arrival, clients are given access through the main entrance and a short walk up the open path leads them to the awaiting staff.